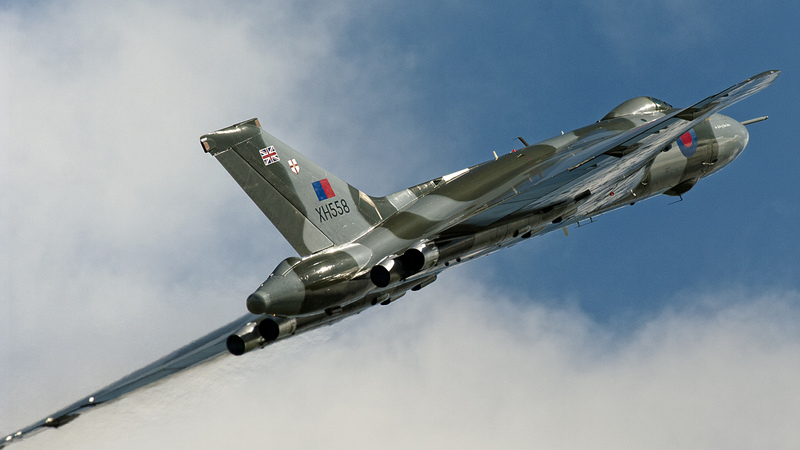 Thirty years after retirement, the once mighty Vulcan returns to duty for a dangerous new mission. The prehistoric Vulcan is to fight a long range campaign alongside the world’s worst most advanced bomber, the sinister B-2. But would the famous British bomber survive ‘Operation Somnium’? Its KC-135 fleet depleted by chronic serviceability issues and ongoing software integration problems delaying the KC-46, the USAF’s tanker fleet was overstretched supporting deployed forces fighting a coalition war in Southwest Asia and a recent intervention to put down terrorist factions threatening a Pacific state. A Middle Eastern earthquake had then eaten into the KC-135 and KC-10 tanker reserves, when humanitarian supplies and rescue equipment were rushed to the area from the US. Similarly engaged in the coalition effort, the UK had Voyager tanker/transports deployed to support its Combat Air assets. The Voyagers were also flying the constant air bridge into and out of theatre, via Middle East bases. A considerable percentage of Voyager capacity was then diverted to humanitarian support in the earthquake zone. -Donating to the Hush-Kit blog will not cause any of the following: dizziness, nausea or narcolepsy. The donation buttons can be found by the eagle-eyed on this page. Thank you. 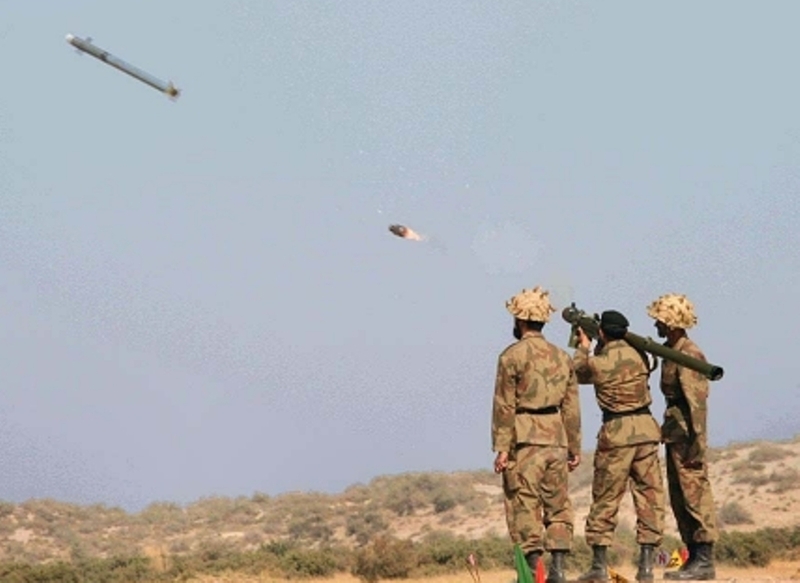 The Indian Ocean coup attempt had been unexpected, arising through the rapid movement of terrorist-sponsored rogue military commanders against their previously stable government. The island was considered of strategic importance to the US and UK. Rich in natural resources, the island state had traditionally maintained an effective air defence system, relying primarily on early warning radar and an integrated surface-to-air missile (SAM) chain. Defensive air power was minimal, based on rotating deployments of US and UK fighters, the coup coming during a gap in coverage when tanker support was temporarily unavailable to complete the incoming movement of USAF F-22 Raptors. With the joint US/UK base under siege, rapid action was required to destroy rebel forces threatening the facility, neutralise the SAM chain and deny access to the government’s military vehicle, fuel and ammunition depots, as rebel leaders marched on the capital. With naval forces five days to a week distant, immediate intervention by air was the only option for the combined forces. Overflight and basing rights were denied by those nations in nearest proximity to the island, obliging the joint strike force to operate from an austere forward-operating base some 2,500 miles away. A paucity of parking spots restricted aircraft numbers and even if a full tanker fleet had been available, there was space for just nine aircraft. A force of five bombers was considered necessary to accomplish the required tasks in the five days before naval units arrived in-theatre. Ensuring that national interests were fairly met, the USAF deployed three B-2 Spirit aircraft. The RAF, relying on its Storm Shadow-equipped Tornado and Typhoon for strategic might, but with insufficient tankers available to support these essentially tactical warplanes, was forced to look for a longer-ranged alternative. The search quickly fell upon the final serviceable pair of Vulcans, latterly taken off heritage duties to plug part of the gaping whole left in the UK’s maritime patrol capabilities when Nimrod MRA4 was scrapped. Both aircraft were deployed, along with a pair of Voyager tankers, while the USAF included three KC-135s to support its B-2 package. A combined force of ten aircraft was despatched on the basis that at least one would be airborne for the duration of the operation, but rendered reinforcement impossible. The B-2 sortie rate was envisaged as three times that of the Vulcan, with the American jet’s range and the USAF’s more numerous tankers allowing two B-2s to be airborne simultaneously, while both Voyagers would be needed to support a single Vulcan mission. There could be no sharing of tankers – the KC-135’s underwing hose pods were unsuitable for the Vulcan, while the Voyager was not equipped with the flying boom required to refuel the B-2. 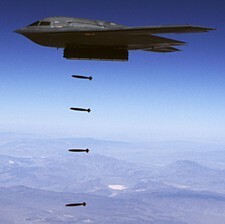 Shortly before midnight on the eve of the campaign’s first day, a B-2 launched with a load of GPS-guided JDAMs. Using coordinates provided by overhead systems and confirmed by its onboard targeting system, the aircraft successfully prosecuted air defence targets in a swathe from the coast, inland towards the combined base. Meanwhile, a Vulcan was airborne and running in at low level. The old machine’s inadequate ECM system was no match for a modern air defence network, but a high-speed, low-level approach was seen as an entirely valid tactic against the integrated air defence system. As the Vulcan’s crew neared the coast, they executed a pop-up to 500ft, but remained undetected, thanks to clever tactics based on the supposed success of the B-2’s earlier strike. Aligning their ingress route for an attack on rebel forces at the base perimeter, they flew through the ‘safe’ corridor created by the Spirit. 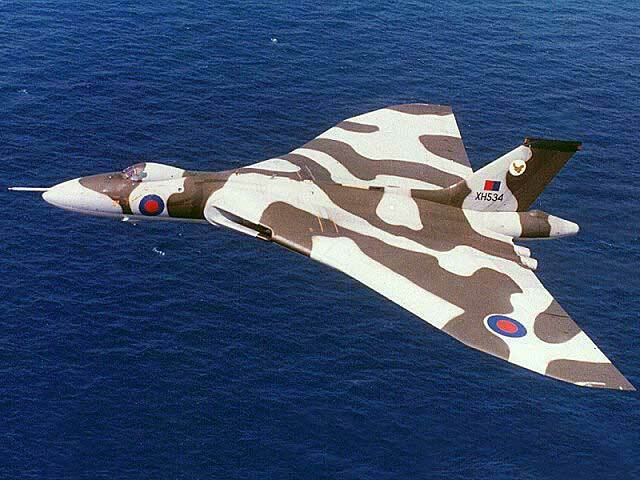 At the same time, they carefully adjusted the Vulcan’s track; its engine compressor faces and radar antenna were never allowed to come close to being perpendicular to any radar source and the aircraft remained undetected until it released its weapons. Twenty-one unguided, retarded bombs fell in a line across the rebel formation, two damaging the objective, three falling on the base and the remainder exploding in open ground at the base perimeter. its low-level egress, the Vulcan attracted the attention of a shoulder-launched SAM. Unprotected against an IR threat, the aircraft was struck in its starboard outer engine, but through its shear bulk, survived to return on three engines. With considerable damage to its wing structure and defensive systems, the venerable bomber was out of the campaign. As the damaged Vulcan returned to base, the second B-2 was airborne, striking further air defence targets and communications nodes. A third B-2 mission was deemed necessary before a second Vulcan raid was committed. This time the aircraft successfully scored three hits out of 21 bombs dropped on a rebel convoy moving towards the capital, halting its advance, before turning for home. A severe hailstorm was clearing the area as the Vulcan approached to land. The B-2 crew ahead of it had been less fortunate. Forced to fly through the heart of the storm, they had badly compromised the stealthy finish of their bomber, even as similar, though less extensive havoc was wrought on the two bombers sitting on the ground. Without their dedicated support facilities, the B-2s were now committed to relying on their defensive aids suite for protection, since low-level operations were not within their remit. Already compromised, the island’s defences were unable to counter the subsequent B-2 and Vulcan attacks. By now the force was down to a single B-2 and the remaining Vulcan, one B-2 airframe being too badly damaged to fly after recovering through the hailstorm and another entangled with a maintenance truck that skidded on the wet apron, wrapping itself around the aircraft’s port main undercarriage unit. 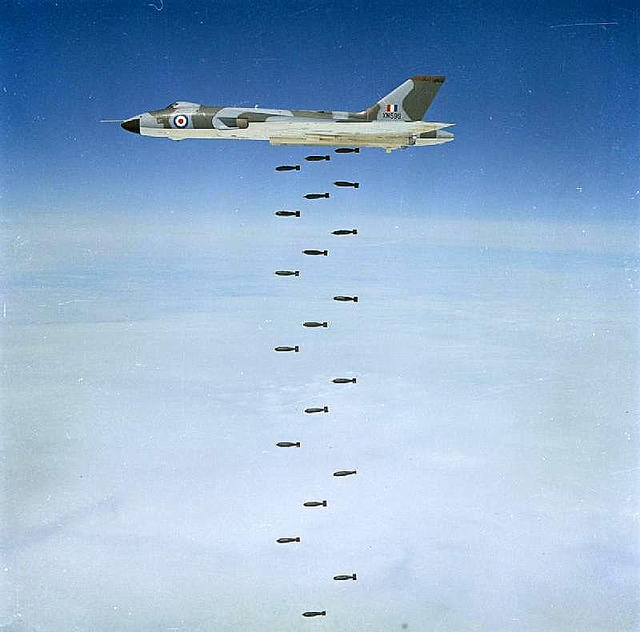 As the combined naval task force moved into position to retake the island by amphibious landing, a final combined strike by B-2 and Vulcan was launched to soften up defences around the landing sites. All five tankers launched in support, one KC-135 and a Voyager recovering as the bombers attacked. Egressing successfully, they searched for their remaining tankers, both taking fuel as they flew for home. Soon after, however, the B-2 began experiencing power surges. Rapid analysis by the bomber and KC-135 crew determined that locally sourced fuel might have been contaminated with water. Fearing the worst, all three airborne tankers made immediately for base. Flying as economically as possible, the bombers followed, their crews relieved to hear the tankers returning safely one by one. When the final tanker, a 65-year old KC-135, suffered a nose gear collapse on the single runway, the stakes were immediately raised. There was no prospect of jacking the aircraft, extending the failed leg and towing it off the runway. Immediate action was required to recover the bombers. Base construction vehicles – an ancient bulldozer and a semi-serviceable tractor – were put to work, pushing and dragging the tanker clear, but as both circling bombers called fuel emergencies, rapid decisions had to be made. Ditching both aircraft offshore was a possibility, except for concerns that the Vulcan’s three-person rear crew might have difficulty escaping the floating aircraft and would have little or no chance if it sank or broke up. None of them were sitting on ejection seats. Priority was given to the Vulcan. Its crew had to land and clear the runway immediately, making way for the B-2 to land in their wake. With a final mighty effort, the bulldozer and KC-135 wreak cleared the runway. Seconds later, the Vulcan’s mainwheels hit the concrete. The old bomber rolled to a stop and shut down, too low on fuel to taxi. The combined groundcrew scrambled to tow the British jet clear, but a small boat was already on its way out to retrieve the B-2 pilots. They had successfully tested their ejection seats, abandoning the aircraft two miles offshore. Paul E. Eden has been editing and writing for aerospace publications since 1996. He writes for Aircraft Cabin Management; Airliner World; Aerospace, the journal of the Royal Aeronautical Society; Aerospace Testing International; andBusiness Jet Interiors International. He also edits for Aviation News and several book publishers. Paul is contributing editor of the acclaimed Royal Air Force Official Annual Review and Royal Air Force Salute. Interesting story to read. It is actually ironic how many decades-old aircraft are still in service (especially the KC-135s and B-52s) in such a modern force as USAF is. That is an interesting read. The B-2 will never match the Vulcan in looks though; there’s just something about those British Cold War aircraft designs. I agree with Sebastijan about the KC-135. It’s amazing that’s it’s lasted as long as it has. Sometimes I think about what a hypothetical formation of aircraft that would still flying in notable numbers when their design hits the century mark would look like and I know a KC-135, or derivative of it would be in the mix somewhere. Interestingly as successful and long lasting as the V bomber force was, the ‘temporary’ bomber designed quickly to fill the gap till they came into service managed to stay in service longer and in fact became the most successful jet bomber the Uk ever made. And that was the Canberra.